Chiropractic adjustments are one of the best things a mom can do during her pregnancy. A well-adjusted spine is necessary for optimizing health during pregnancy, optimizing the baby’s development, as well as creating conditions favoring a positive birth outcome. One of the most effective techniques for pregnant women is the Webster Technique. Chiropractic adjustments correct subluxations, or misalignments in the spine that disrupt the proper performance of the nervous system. These disruptions diminish an individual’s ability to function optimally. This is key during pregnancy because a mother’s functioning becomes challenged, due to the rapid changes of her growing baby. Furthermore, her baby’s growth and development hinges on her functioning and the internal environment that she creates for her baby. The Webster Technique specifically addresses the subluxations in her sacrum and pelvis. Pregnant moms are more susceptible to sacral and pelvic subluxations because of increased hormones (relaxin), weight gain, and the associated changes in her posture. The aim of the Webster Technique is to decrease the effects of subluxations in the sacrum and pelvis through a specific chiropractic analysis and adjustment, in order to improve neuro-biomechanical functioning to the sacral/pelvic region. Restoring this neuro-biomechanical functioning may affect the baby’s spinal and nervous system development, improve the baby’s positioning and birth outcome, prevent dystocia (difficult labor), and relieve general aches and pains in the sacrum and pelvis. In practice, the feedback received from mothers that I performed the Webster Technique on during pregnancy has been overwhelmingly positive. I observed marked improvements in their health, quality of life, and overall disposition as they continued care throughout their pregnancy. They reported positive birth outcomes with beautiful birth experiences. In fact, many of the moms didn’t receive the Webster Technique during their previous pregnancies. They noted having a better pregnancy and birth this time around because of chiropractic and the Webster Technique. First-time moms expressed gratitude for the care received during pregnancy. Pregnancy is a critical period for both the mother and the baby. It prepares the baby for the external world that they will enter and it lays the framework for their future health. A baby’s potential is a quality developed during pregnancy. It needs optimum physical, chemical, and emotional conditions to manifest its greatest possibility. Through the chiropractic and the Webster Technique, a mother can achieve optimal functioning of her nervous system, which in turn improves her health and creates conditions for her child to be born with the greatest potential possible. Dr. Mo Estepa is committed to creating extraordinary health for pregnant women, their children, and their entire family. 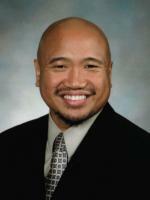 He practices in the Hillcrest area of San Diego at Life Within Family Chiropractic.